Dr. Vikash Kumar is presently Senior Lecturer in the Department of History, Vinoba Bhave University, Hazaribag in the state of Jharkhand. 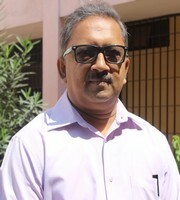 Dr. Kumar was awarded the U.G.C research fellowship in 1988 and 1992. He was awarded the Ph.D. degree from Magadh University, Bodh Gaya in the state of Bihar and completed his graduation and Post-Graduation in History from Hindu College, Delhi University, Delhi. His publications include a book titled The Kherwar Movement and articles on regional history and tribes of Jharkhand. He has presented papers at the International Conferences in the U.S.A in 2012, 2013, 2015 and 2016 on Ethnicity, Identity and Assertions of tribals in South Asia. 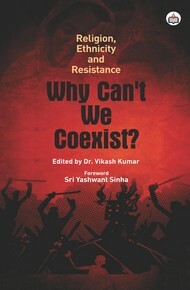 He writes on Naxalism and has almost a dozen articles published in the Journals.